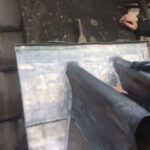 A slate roof is environmentally friendly, easy to maintain & costs less than just about any other roof when the life of the roof is taken into consideration. 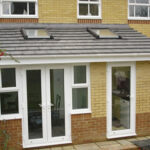 From under the earth to the top of your home, there is nothing more natural than a stone slate roof. 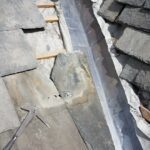 Quarried, chiseled and then trimmed into various shapes and sizes, a slate roof will give your home a traditional feel and here at JW Construction Roofing Experts we strive to ensure that is always the case. The breakability of slate makes it possible to split the stone into thin sheets and, even when broken, slate retains a natural appearance while remaining flat and easy to stack, making it ideal for roofing material. Natural slate is used by our building professionals at JW Construction Roofing as a result of its beauty and durability. Slate is incredibly durable, being able to withstand pressures to last up to several hundred years with often very little, or no, maintenance. 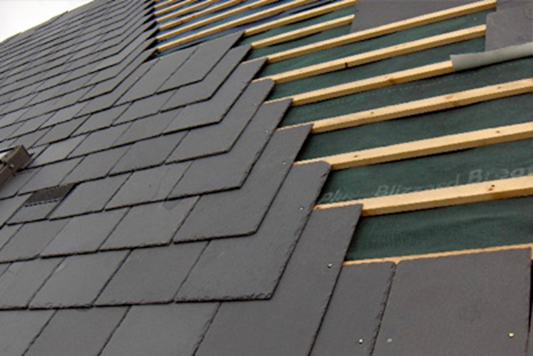 Another benefit of slate roofing is that its extremely low water absorption rate (less than 0.4%) makes it very resistant to frost damage and breakage due to freezing temperatures. Slate is also fire resistant and energy efficient so what further reason could stop you contacting us to add character to your home with a traditional slate roof that will still be going strong when your grandchildren are all grown up? 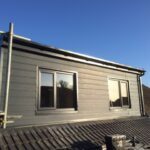 "Having decided to go ahead with a dormer loft conversion and getting several builders round, JW Construction was the one that stood out to me the most and i was not to be disappointed. Justin designed and got my plans drawn up for the full conversion,which even included steel calculation. The work completed can only be described as exceptional and are an extremely honest and trust worthy company to the fact i handed them the keys to my property. Along the way Justin kept me updated on each stage of the build which puts you at ease. They cleaned up at the end of everyday and even put plastic down to keep the carpets clean. They were quite few added extras along the way which Justin completed for me without any issues and kept the price down to a minimum. I would recommend JW Construction to anyone and if anyone wants to see his work they can contact him and are free to look at the work completed. I would like to say a massive thank you to Justin and his team for a quality job!" "Justin came highly recommended and proved to be absolutely 100% Honest, reassuringly knowledgeable, committed, friendly,punctual, devoted to the job, and completely organised. (ie....hardly ever on his phone,almost no breaks,or annoying unnecessary trivial trips to suppliers for forgotten materials or tools) etc....The supplier at my local plastic suppliers even commented on Justin as ' one of only a couple of roofers he would be glad to recommend ' ...' 30 years of roofing, and qualified to passing his own work to building inspectors regulations'! Top quality service on a single storey pitched roof with velux, including soffit, facia and guttering......very professional. ..highly recommendable...."